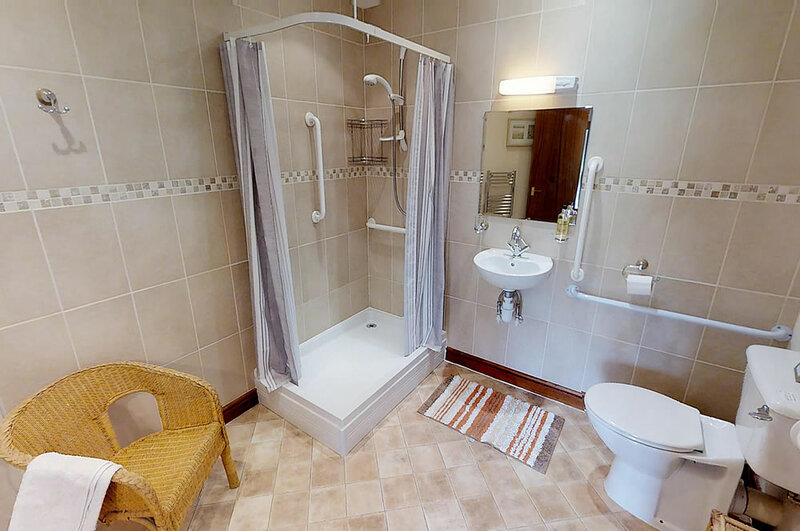 Robin Cottage is two Bedroom cottage with a double bedroom, twin room, shower room, lounge and well equipped kitchen. 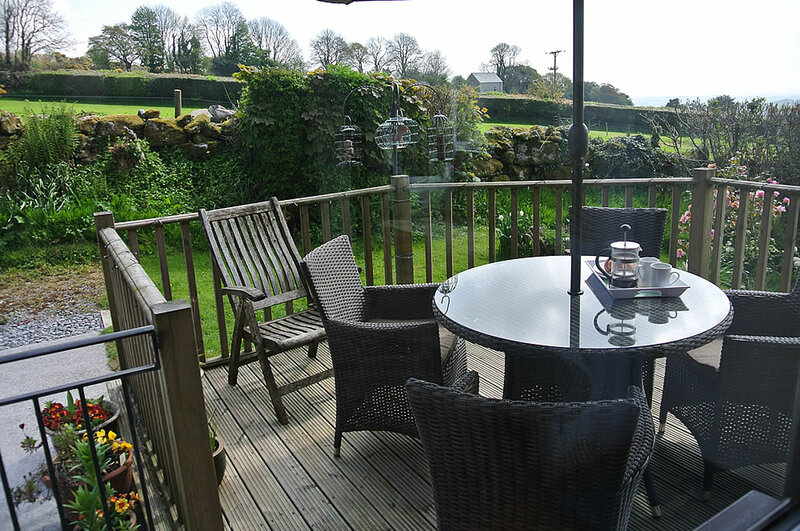 There are French doors onto a large decked area looking over the garden and with stunning views of the surrounding moor and farmland. There is also a garden with a Patio seating area. Ideal for evening BBQ’s in the evening Sun. The cottage sits in a secluded peaceful location with secure parking right outside. Our Alpacas graze in the fields next to the Cottage. 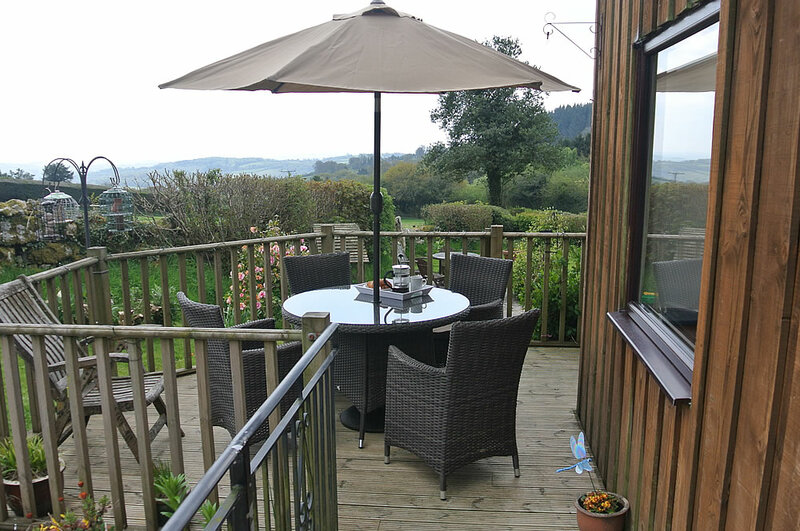 The Deck has a table and chairs ideal for having your breakfast on a sunny morning or a glass of wine in the evening. We have a wide variety of wild birds visiting the bird table in the garden. There are bird books in the cottage to help identify them. Other wildlife can often be seen including foxes, rabbits and a family of stoats. 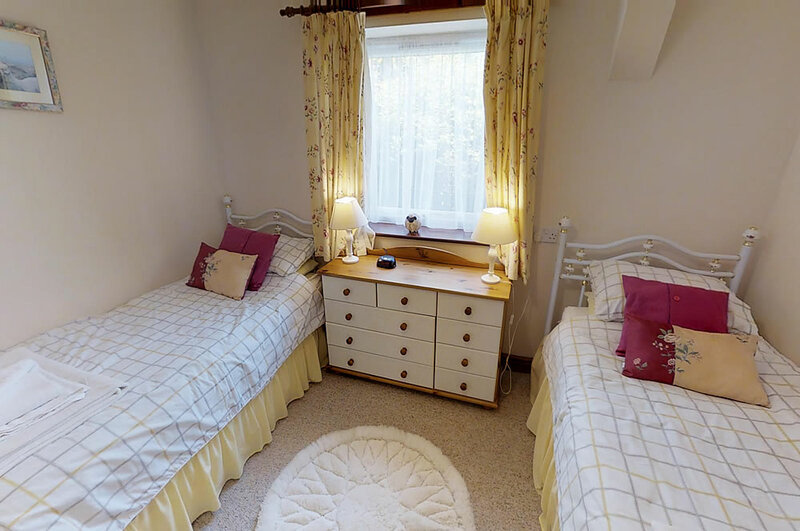 Robin Cottage is comfortable and well equipped. In the double bedroom the Kingsize bed has a a memory foam mattress. 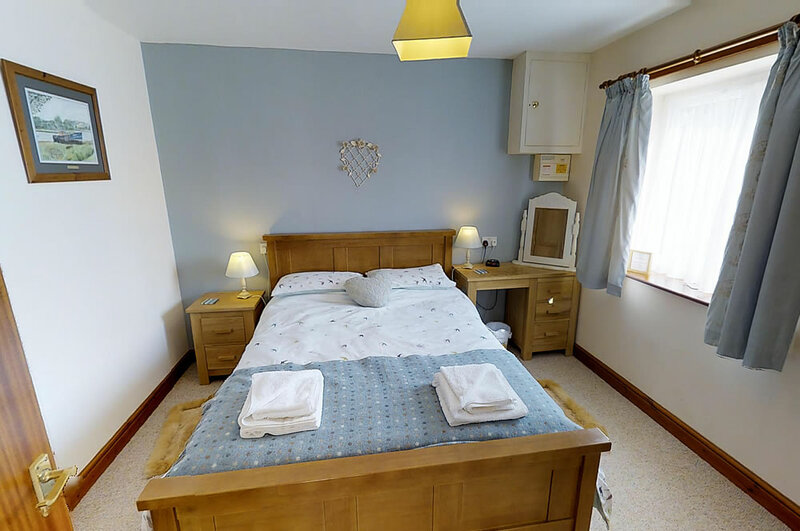 The twin bedroom has two full size single beds and is spacious with plenty of drawer and hanging space. All the beds have Alpaca Duvets and Pillows. We also have synthetic Pillows if prefered. The lounge has a comfy sofa, and two chairs. 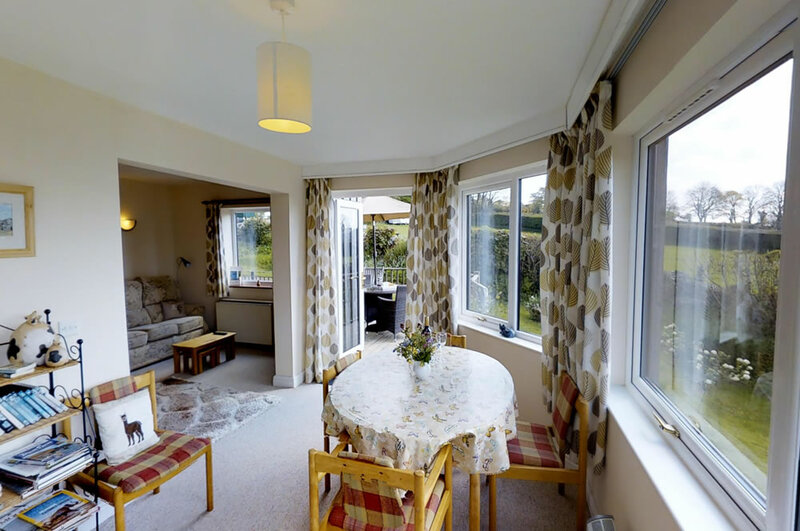 A dining area with table and chairs is in the sunny extension with large windows to enjoy the view. 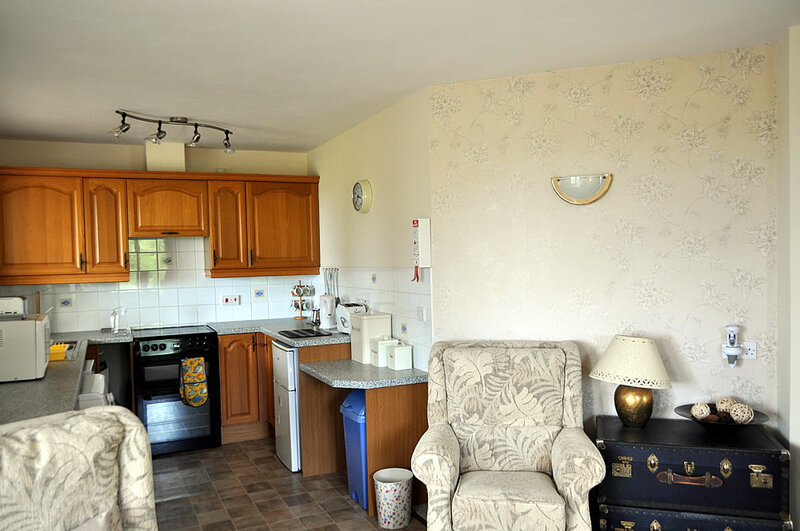 The kitchen is well equipped with Dishwasher, Washing machine, Microwave, full size Oven with ceramic hob. There is a washing line provided in the garden There is heating and a electric woodburner to give a warm glow in the evenings. The TV is flat screen and there is also a DVD player. 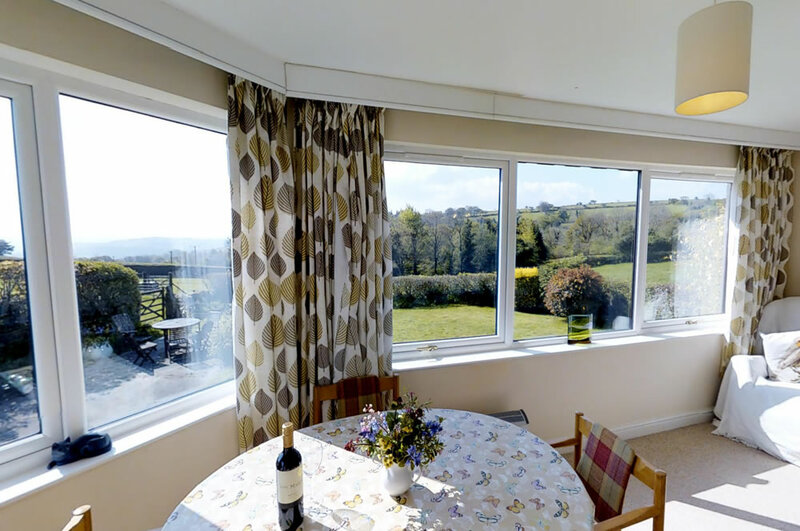 I am sure that you will find Robin Cottage very comfortable and the location ideal for exploring Dartmoor and the surrounding area. There are lots of local pubs and Restaurants serving locally source produce. We are always happy to recommend our favourite places.